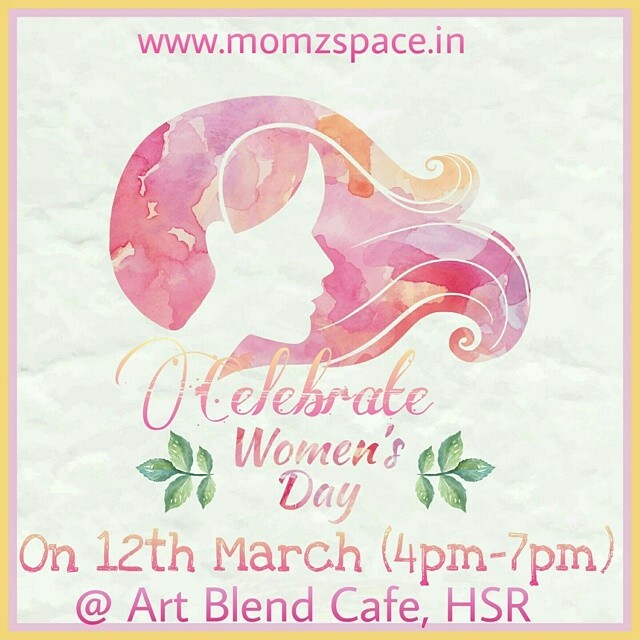 Momz'Space: What To Expect From Women's Day Celebration? Heylos to all beautiful ladies, we are just couple of days away from our women's Day celebration at Art Blend Cafe on 12th March 2016. If at all you haven't yet registered, then please hurry as seats are filling up fast. As we aim to gift each women a one of it's kind experience which she can cherish all through her life in form of some memorable snippet, laughter moments, mentor interaction, make life long friends, we would want you to register before 10th March 2016 as seats are limited. Below is the in detail agenda for the Women's world: Being You, Being Special!, you can plan your Saturday evening as per your preference to attend the event, but I bet you wouldn't like to miss even a single minute of the celebration. 6:45pm - 7:00pm - Awards for the winners of the evening followed by food and refreshments. Lot many surprise activities and goodies are awaiting for you, be there in your comfiest outfit with loafers, peppy mood and beaming smile to meet, greet and connect with like minded women in Bangalore. Take a look at our last years women's day celebration.